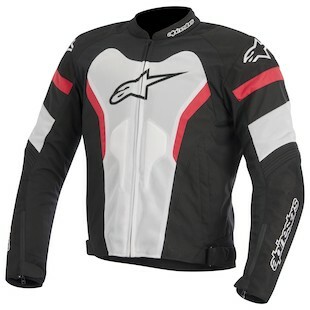 Topping off Astars’ mesh jacket line up for 2014 is the new Alpinestars T-GP Pro Air Jacket which is sure to make those warm weather woes a thing of the past with its large 2D Tech Air Mesh panels on the chest, back and sleeves . The rest of the jacket is constructed of highly abrasion resistant 450D and 600D polyester that will give you some piece of mind while you are out carving canyons or just commuting to and from the office. The T-GP Pro Air also incorporates a super soft stretch polyamide along the inside of the arms, chest and back allowing the jacket to move dynamically with the rider and provide all day comfort. When it is time to turn off the AC, simply zip in the water resistant removable windbreaker liner and stretch this jacket into cooler weather with ease. The addition of a waterproof wallet pocket will keep those water sensitive items (phone) safe and sound no matter what conditions you find yourself riding in. As with all Alpinestars jackets, the T-GP Pro Air comes equipped with CE certified Bio Armor in the elbows and shoulders with the option to add an Alpinestars Bionic Air Back Pad, making it a super safe option for warm weather riding. 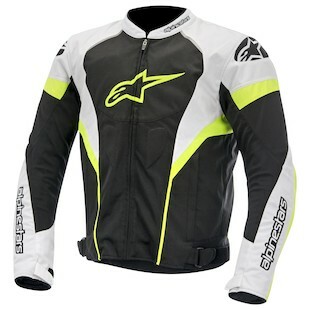 Replacing the tried and true T-GP-R Air jacket in 2014 will be the new Alpinestars T-Jaws Air Jacket. This sport cut warm weather riding jacket carries over many of the same features that made the T-GP-R a hit with riders around the world. With larger mesh panels and an updated design based on the popular Jaws leather jacket, the T-Jaws is certainly poised to take a BITE out of the competition this spring. Loaded with Alpinestars’ CE certified Bio Armor in the elbows and shoulders with the option to add a Bionic Air Back and Chest Pad, this jacket will be ready for anything you can throw at it. The T-Jaws also incorporates accordion stretch panels similar to what is found on high end race suits to allow the jacket to move with the rider and be more comfortable in a variety of riding positions. The T-Jaws Air will be sure to terrorize an ocean of asphalt this summer. 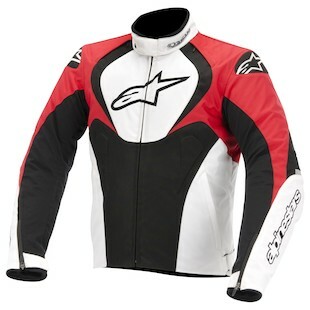 The Alpinestars T-GP Plus R Air Jacket follows on the heels of Alpinestars’ popular T-GP Plus Air. Retaining all the same great features like 450/600D Polyester construction, large mesh panels on the chest, back and sleeves, as well as Alpinestars’ renowned CE certified Bio Armor in the shoulders and elbows, the T-GP Plus R Air adds to the list of great features to include a waterproof internal pocket, accordion stretch panels on the back as well as a new, more aggressive design. If you are looking for an affordable, stylish, mesh jacket to keep you cool and protected this summer the T-GP Plus R Air jacket just may be the ticket. 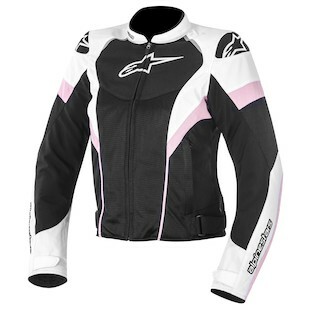 Also available in women's as the Alpinestars Stella T-GP Plus R Air Jacket.